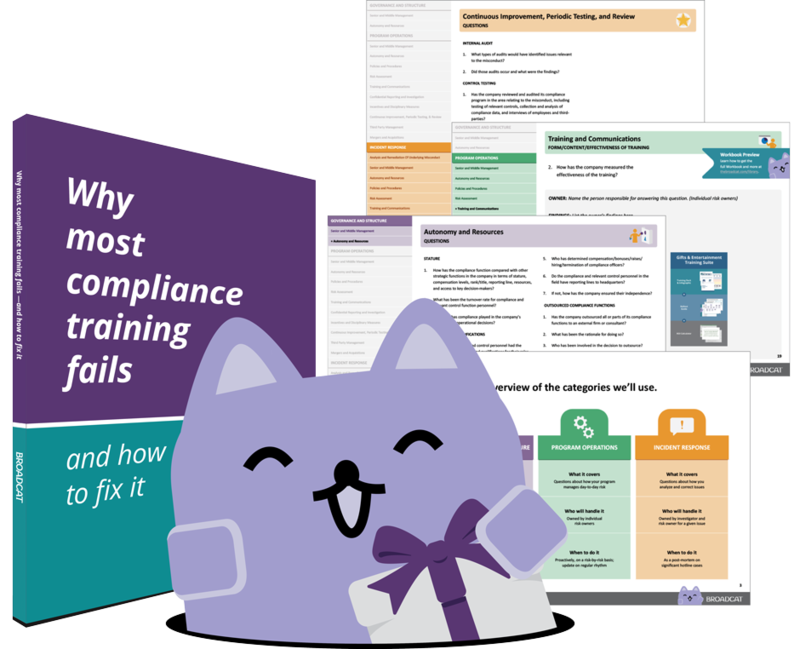 Compliance training your managers will love. 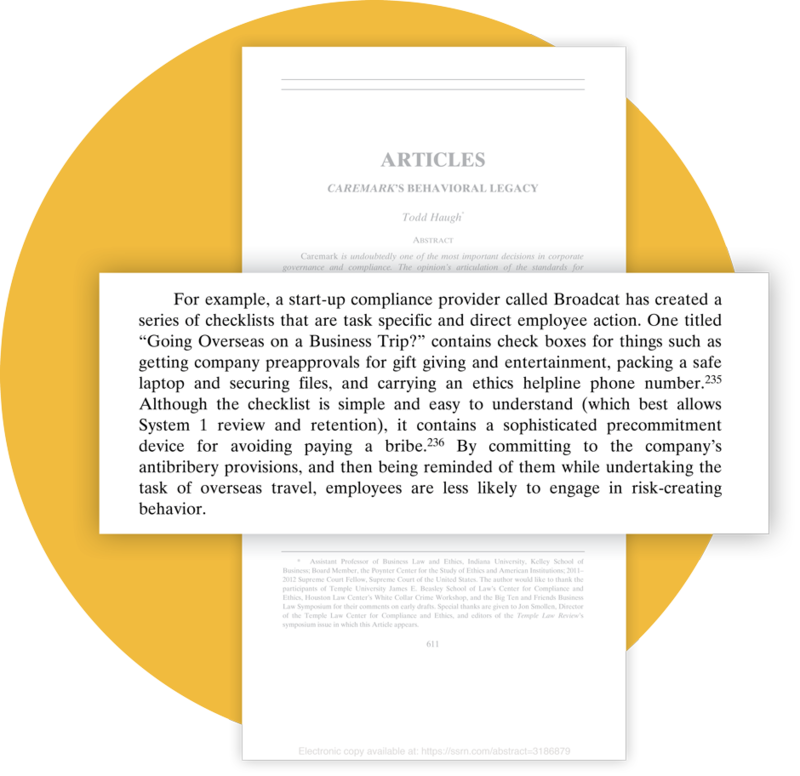 Build your compliance culture and encourage operationalization with short, printable, practical job aids for your managers and their teams. Compliance is about doing the right thing, not just knowing about it. That's why our tools focus on behavior, and they've even been recognized as a behavioral compliance best practice in an academic journal! And we’re changing the conversation. We've been mentioned, quoted, or interviewed in the Wall Street Journal, Bloomberg, Compliance Week, Compliance and Ethics Professional Magazine, Compliance Today, and more. See what all the fuss is about by following our blog! We’ve got a treasure trove of free stuff, too. 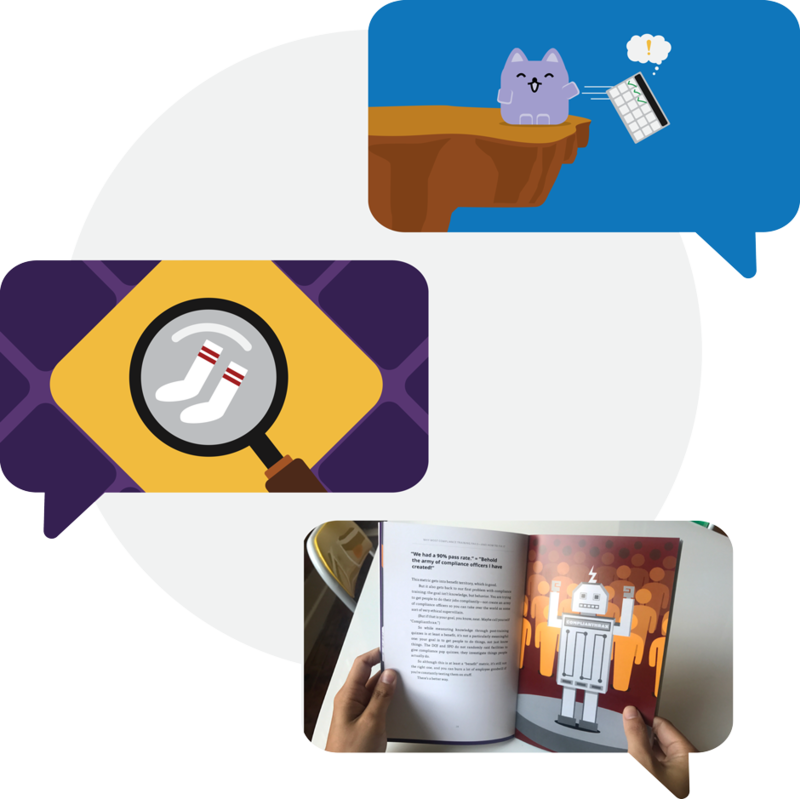 There’s a good chance you’ve seen or used some of our design work—from a roadmap to implementing the Evaluation of Corporate Compliance Practices to our free book on operationalizing compliance, we’ve got you covered. Whether you’re just getting started or looking to transform an existing program, we’re ready to help. We work with everyone from the Fortune 10 to lone-ranger compliance officers who are just getting started, and we’ll customize something just for you. 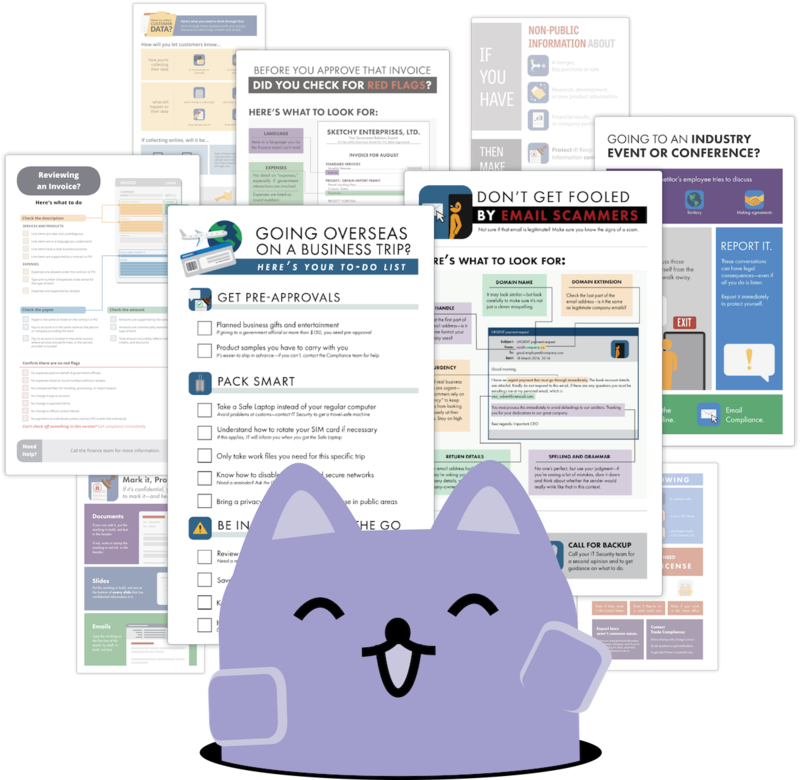 "We received feedback from both our communications department and HR—everyone is very happy!"